Dubai-based Empire Aviation Group (EAG), the integrated private aviation specialist and operator of one of the largest managed fleets of business jets in the Middle East, has appointed a new Director of Ground Operations. Captain Brian Martin is an aviation professional who brings almost 40 years of experience (and 15 years in the Middle East) to the company, which is embarking on a new wave of development, four years after its formation in Dubai. Captain Martin will work alongside EAG`s Director of Flight Operations and Director of Quality. Captain Brian Martin has a wealth of commercial and private aviation experience gained over a long and varied aviation career, and is a UAE GCAA-approved post holder as Director of Operations; Manager & Quality Operations; Security; and Safety. He has experience as an Aircraft Commander; Chief Pilot; Flight Operations Manager; and Director of Flight Operations; as well as substantial experience in VVIP/Royal Flight departments throughout the Middle East and Africa. Captain Martin will manage a team of flight dispatchers whose role is to assess the requirement of each EAG flight and to ensure the provision of the appropriate aircraft, crew and ground support, overflight permissions and visas, with safety as the top priority. 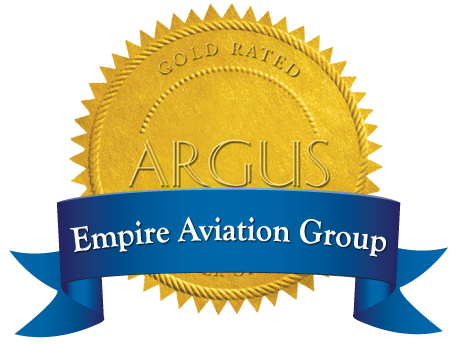 Speaking about the new appointment, EAG Executive Director Paras Dhamecha commented: "Captain Martin`s appointment is very significant for EAG, following our start-up and rapid development into one of the largest private aviation specialists in just four years. Today, we have a large and growing managed fleet of 20+ aircraft from every major manufacturer, and around 60 crew members. We have now reached the stage of development where we need to consolidate our senior team and maintain the quality in every area of our operations. Captain Martin`s appointment is part of this strategy and he brings a wealth of relevant regional aviation experience which will be invaluable as we look to add new aircraft and develop new services, and in markets beyond Dubai and the UAE."